Good morning Quick Quotes readers! Alicia blogging today with a long and lovely spring card. The new Mulberry Paper Pack has the most versatile papers. 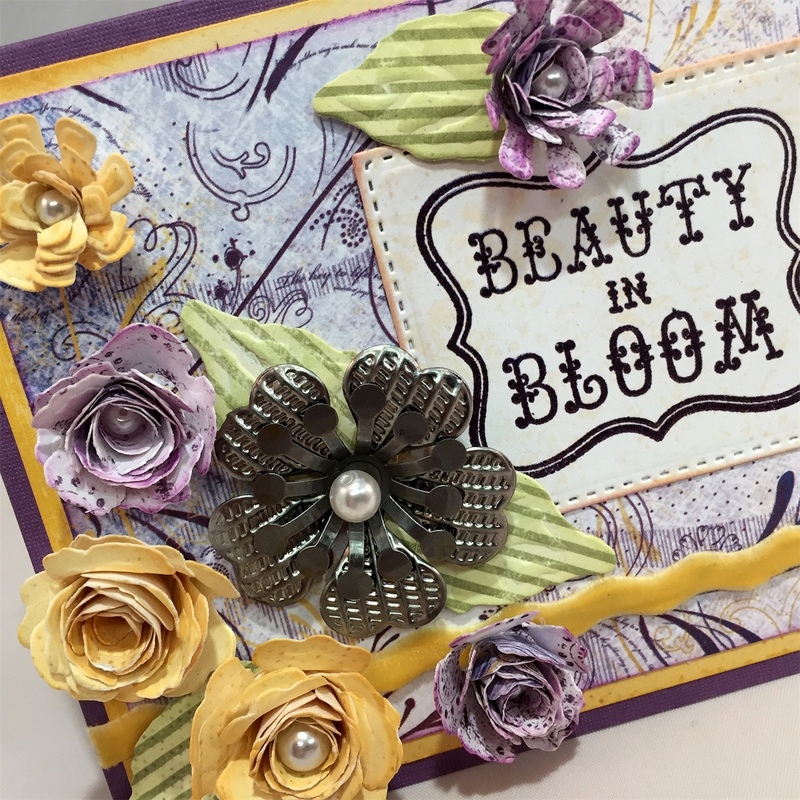 This beautiful floral print was the perfect starting point for a spring flower card. Ink edges with PowderPuff Chalking Inks again! Here's an even closer look at these flowers. They are so much fun to make, I get carried away and have several left for another project. 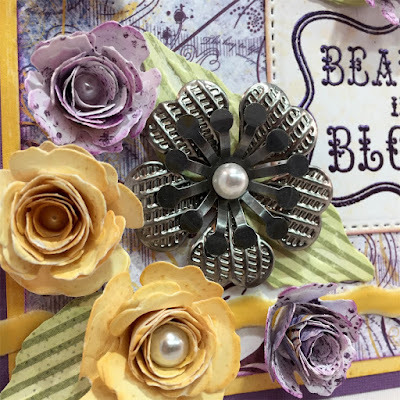 I also added a pearl to the center of Unique Rustic Patina Metal Embellishment flower.